Written by Dezza, 11 July 2018. Sipalay is located in Negros Occidental, which is on the western coast of Negros Island, about halfway between Bacolod and Dumaguete. With sugar production being one of the key industries on the island, Sipalay is known as the Jewel of Sugar Island. It is, without a doubt, one of the best-kept tourism secrets in the Philippines. This is, without a doubt, one of the best places in the Philippines. 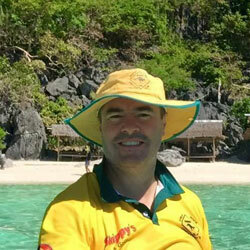 Please read on to find out my favourite places in this sensational tropical paradise. Punta Ballo is easily my favourite place not just in Sipalay, or Negros, but possibly even the entire Philippines. I will never forget the first time that I went to Punta Ballo. I was very fortunate to be working on a project in nearby Hinobaan. Hinobaan is a fairly small town and as we needed to find some accommodation in which to base ourselves during the initial setup of our project, we thought we would try our luck in Sipalay. After going to the local market and asking a few people on the roadside, we ended up at Punta Ballo. I was absolutely blown away by the beauty of this place. Powdery white sand, palm trees lining the beach, limestone cliffs with amazing scenery and beautiful clean turquoise blue water. There are a handful of resorts in Punta Ballo that are owned by foreigners. This includes Artistic Dive Resort and Nataasan. It’s been quite a few years since I have been to Punta Ballo, but if you haven’t been, I highly recommended it. One of the best Philippines destinations without a doubt. Punta Ballo totally blew me away when I first set foot on the beach back in 2010 (left). Some of the sunsets I saw in my time there defied description. The next bay around from Punta Ballo is Campomanes Bay. This is only a short ten-minute boat ride away from Punta Ballo and is actually a marine sanctuary that used to be a major shipping port in the area. The actual pier still exists and is still used for medium-sized boats, mostly just bungka boats. Campomanes Bay is a beautiful bay surrounded by huge limestone cliffs, so it’s enclosed and protected from the weather. As a result of this, the water is so calm you would almost think that you were in a lake. Being a marine sanctuary it is also a spectacular place for diving and has some of the best coral and marine life in the area. If you’re ever in Sipalay you have to make sure you visit Campomanes Bay. Campomanes Bay has some giant limestone cliffs that can easily rival Palawan, and some of the calmest water imaginable as you can see from our boat. About 15 to 20 minutes boat ride away from Campomanes Bay, travelling south, you will find Balanban Point. When we arrived here during an island-hopping adventure, I couldn’t believe what we saw as we pulled in. This was like a smaller version of Campomanes Bay with a big tree sitting in the water at the entrance to the cove. There was not one single person to be seen anywhere. Actually, there was no sign of life at all except for a couple of dogs playing happily on the beach. When we got off the boat we were greeted with beautiful white sand and palm trees swaying in the breeze. Unlike most beaches that I have been to there was hardly any rubbish to be seen, not even washed up seashells or seaweed. The water was also crystal clear. This was truly one of the most isolated, yet beautiful beaches I have been to in the whole country. A real little slice of paradise with absolutely zero tourism and people. This is definitely worth checking out if you’re spending time in Sipalay. Balanban Point, a totally deserted tropical paradise. It still amazes me that you can still find places like this in the Philippines. If you’re into caving then Mamara Cave is definitely worth a visit. The cave is located only about 15 minutes drive out of Sipalay town centre along Sipalay-Candoni Road. The entrance to Mamara Cave is setback approximately one kilometre from the roadside, and it’s not so easy to find. There is no real signage so if you are eager to explore Mamara Cave, it is best to seek guidance from the Sipalay City Tourism Office located at the old Sipalay City Hall. You can email Ms. Hannah Labandilo (hlabandilo@gmail.com) direct for more information. They will also provide you with a guide and also flashlights and a protective helmet. If you are new to caving then Mamara Cave is almost perfect for you to learn. It is quite a large cave in terms of height and width. There are some spectacular rock formations inside, including the usual stalagmites and stalactites, as well as flowstones that twinkle in the face of your flashlight. During the wet season, water seeps through the roof and walls of the cave which creates a river that flows out of the cave. If you explore the cave during the dry season, the river is empty and you actually walk along the river bed to get to the cave. The cave is only about 30 meters deep and doesn’t provide any real challenges. So in my opinion, it is well worth the visit, especially if you like a bit of adventure. Mamara Cave is great for beginners as it isn’t very difficult to navigate and doesn’t provide you with too many challenges. As you can see, there are some pretty eerie rock formations. Poblacion beach in Sipalay town centre took me by surprise when I first saw it. Here is a suburban beach with plenty of beautiful white sand, and clear blue water. The sand isn’t as white as Boracay, or even Punta Ballo, but it’s pretty close. I was to find out later that this is a result of all the tailings that were released into the ocean from the nearby Mariculum gold mine. Apparently, this is not a health hazard or an environmental issue. Either way, there are some restaurants and karaoke bars set up along Poblacion Beach and is a great little place to relax. As the beach faces due west to towards Palawan, there is nothing better than sitting down with a cold beer watching the sunset. A little bit further along the beach, there are a number of islets in the water that is very reminiscent of One Hundred Islands in Pangasinan. Poblacion Beach is arguably one of the best local/suburban beaches I have seen in the country. Not sure there is too much grass on this beach for this calf, but this photo typifies Sipalay. Right shows some young girls laying out bangus daing to be dried out in the sun. Sugar beach is located north of the Sipalay River in Barangay Nauhang. Just like Poblacion Beach, it has very similar sand which is also remnants from the tailings of Mariculum gold mine. However, there is a lot more coconut trees along this beach which make it more appealing. With limestone mounds at one end of the beach, it is also very picturesque. There are several resorts along Sugar Beach. However, these are mostly geared towards locals and as such, is very popular with locals during the holiday season. There are also plenty of water activities that include paddle boarding, scuba diving and also island hopping. And of course, just like Poblacion Beach and Punta Ballo, you get fantastic views of the sunset. 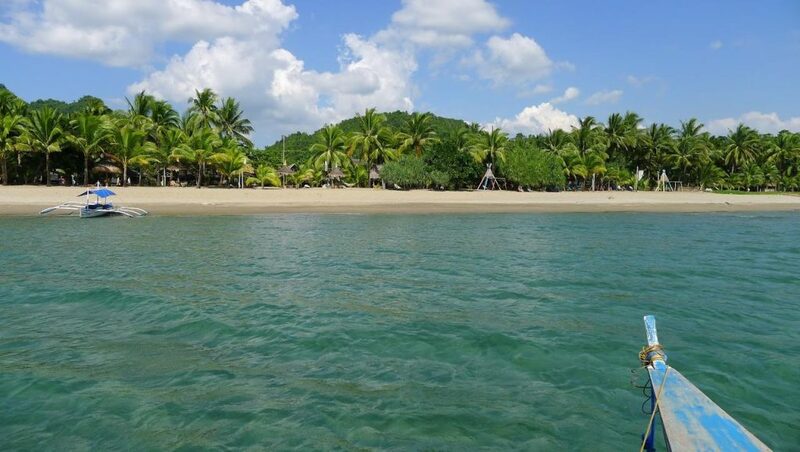 Sugar Beach is yet another beautiful beach in Sipalay. A great place to chill out and relax or to enjoy some water activities. We talked earlier about Mamara Cave and some of the spectacular rock formations inside. If you’re feeling really adventurous and you are a little more experienced caving or spelunking as it is known, then Binutusan Underground Cave is for you. 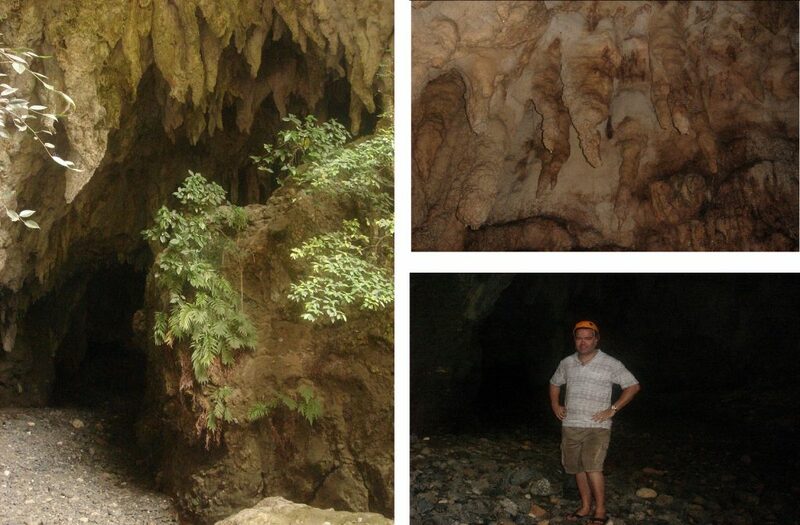 Luckily for me, I have some friends in Sipalay from the Tourism Office who showed me this cave. Ironically, I had driven past it dozens of times and didn’t even know it existed. Being an underground cave, it is essentially just a hole beside the road which is barely big enough for a grown adult to fit through. Initially, trying to enter the cave is a bit of a challenge but once you are inside, it does open up. You do find yourself on your hands and knees through some sections of the cave, however, there are parts in which you can stand. The cave doesn’t go for very long, probably about ten metres, but it does seem a lot longer. Some of the rock formations in here are the best I have ever seen. Just like Mamara Cave, it is advisable to go with a guide which you can find at the Sipalay City Tourism Office located at the old Sipalay City Hall. You can email Ms. Hannah Labandilo (hlabandilo@gmail.com) directly for more information. Binutusan Cave is an underground cave and as you can see from the entrance (left), it is basically a hole in the ground and hardly big enough for an adult to squeeze through. Once inside, some of the rock formations are incredible as you can see from this flowstone on the right. Philippine Airlines (PAL) fly to Bacolod from Manila daily five times a day with the flight taking approximately one hour, and they also fly to Dumaguete from Manila twice daily with the flight taking just over one hour. Sipalay is approximately 175kms from Bacolod (four hours by car) and 170kms from Dumaguete (3.5 hours by car). Ceres Bus Lines depart from Bacolod and Dumaguete and pass through Sipalay City, departing hourly. Fare one way is less than P300 and takes about 5 hours from Bacolod and Dumaguete, as Sipalay is almost exactly in between these two cities. So there you have it, one of the Philippines best-kept secrets, the Jewel of Sugar Island, Sipalay in Negros Occidental. Please feel free to leave comments below and also feel free to share this article with family and friends. Don’t forget to also check out the related articles below.